Futuremark announced it's working on a new benchmark for Windows 8. The current working title is 3Dmark for Windows 8 and it promises to be the most wide-ranging 3DMark ever, allowing you to compare the gaming performance of tablets, laptops and desktops, whether they have an ARM processor or a x86 chip. The launch is expected sometime in 2012. 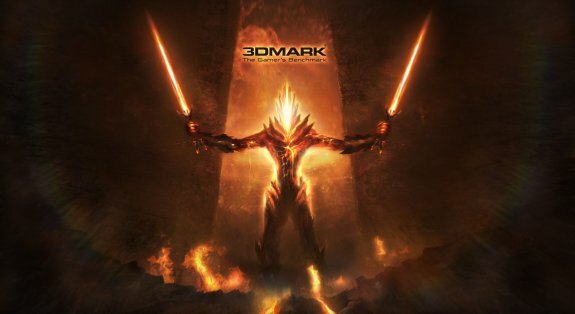 Futuremark®, the world leader in performance benchmarking software, today announced development of a new version of 3DMark®, the company's flagship benchmark for gamers. 3DMark for Windows 8 (working title) is designed for gaming performance measurement and comparison across all Windows 8 devices from tablets and notebooks to high-end desktop gaming systems. The announcement was accompanied by an atmospheric concept image for the new benchmark showing an elemental rock warrior brandishing two blazing swords. "With Windows 8 gamers will be able to enjoy their games on a wide range of devices from lightweight tablets to heavy-duty desktop rigs. Faced with so much choice it will be hard to work out which devices offer the best value for money. Fortunately 3DMark for Windows 8 will be our most wide-reaching 3DMark ever, able to accurately measure and compare gaming performance across all devices and graphical feature sets available with Windows 8."